Figs are not only an ancient fruit, perhaps the first cultivated crop of any kind, fresh figs are easily one of the most sweet and tasty fruits of all. High in fiber, potassium, various vitamins, and along with other beneficial qualities, the health benefits of figs are great. A fig in forming and ripening may be thought of as a kind of flower introverted and become gel inside a stalk that swells into various shapes and colors to contain the pulp in an ornamental way. The flavorful sweet skin encompasses the flavorful sweet pulp. The wholly edible skin entirely wraps the wholly edible pulp, except for an ostiole, an eye or small hole within which tiny fig wasps in semi-tropical climes may enter to pollinate the fig. In colder climes no fig wasp is needed to ripen many fig varieties, including all the varieties detailed here at Mountain Figs, which ripen very well without pollination, as is true of a virtually endless number of fig varieties. A well ripened fig may taste like an intense strawberry jam or honey or sugar flavored gel, or like many other combinations of sweet flavors depending upon the cultivar type and growing conditions. If fresh figs were not so tender and therefore difficult to ship, they would be found in great quantities in every grocery store. Currently, home grown figs are the only way to obtain high quality fresh figs in most of the US. 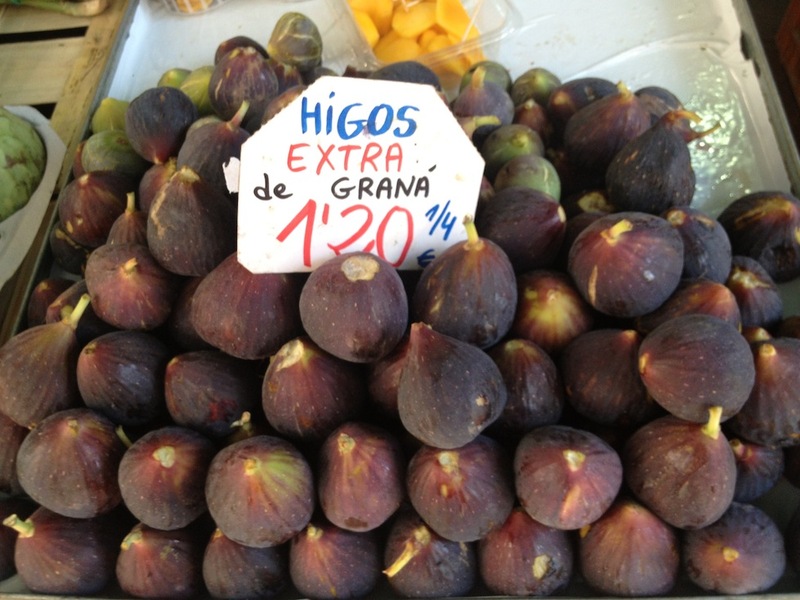 Fresh figs are nothing like dried figs, more different than a grape is from its dried counterpart raisin. Eating fresh figs is like eating sweet fruity jam or jelly of unusual mixed flavors: strawberry, grape, peach, honey, brandy, mango, with added flavors of caramel, vanilla, sugars, or spices mixing in – making for a light, syrupy, juicy, more-or-less tropical tasting fruit. And yet this fruit can be grown in yards, gardens, or pots across the US and Canada and in most any cold climate with short growing seasons. Fig trees prefer their native Mediterranean climate, mild compared to the temperate regions of the US and world. Nevertheless, to harvest figs from bushes planted in the ground in cold regions, growers can overcome adverse climactic conditions by planting some of the most robust and early ripening varieties of figs, the Mt Etna type in particular. Dozens, even hundreds of additional flavor and foliage diverse fig cultivars can be readily grown and their fruit ripened in regions with frigid weather by planting the fig trees in pots that are stored under roof during winter, for example, in a garage or cold cellar. It’s not difficult to grow dooryard fresh figs, whether in pots or in ground, even in cold regions. Fig scion is relatively easily rooted and can ripen fruit as early as the first year of rooting, though the older the tree the more abundant the fruit. Fig trees and bushes can be started from scion wood, simple cuttings of pruned wood, or as small plants that can produce fruit within a year or two. Once a fig tree begins to ripen figs each season, it will continue to ripen figs for 2 or 3 weeks or 2 or 3 months depending upon the cultivar and growing conditions. Difficult or impossible to find in stores, high quality fresh figs are a surprising, extremely flavorful, and healthy fruit crop well worth growing at home.